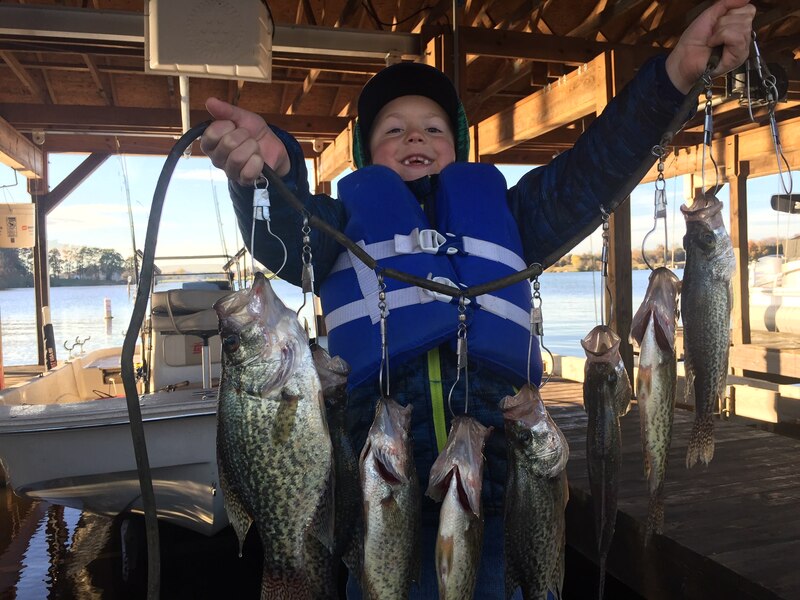 Took the grandson to a spot that was holding some nice ones 2 days ago. Got him some minnows and he had a ball. Went through 5 dozen minnows and most were used 2 or 3 times. Probably caught a hundred, but we decided to only keep slabs. If they were not 11+", they went back into the water. Here he is with eight we kept that went 11-13" . He caught them all......I was too busy putting minnows on the hook and taking fish off to ever wet a line myself. He's getting to be quite the fisherman! Now that he catches them, does he like to eat them? Fish tacos? Fried? Yes, he took home a whole pack of fillets for his mom to make fish tacos......that he likes. Probably 3 family meals worth! Lol my bad. I hadn't had my coffee yet Looks like I have long ways to go.